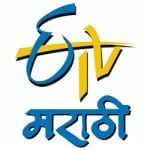 Etv Marathi approached us to promote the inauguration of the show “Kon Hoeel Marathi Crorepati?”, the Marathi version of the hit Hindi language show “Kaun Banega Crorepati?” We did this by promoting it on a bus with the KBC set design on it. The inauguration of this activity was done by the anchor of the show, famous Marathi actor Sachin Khedekar. This activity helped in creating awareness of the show and by increasing publicity for its launch.